Tagline- For Three Men the Civil War Wasn’t Hell. It Was Practice. 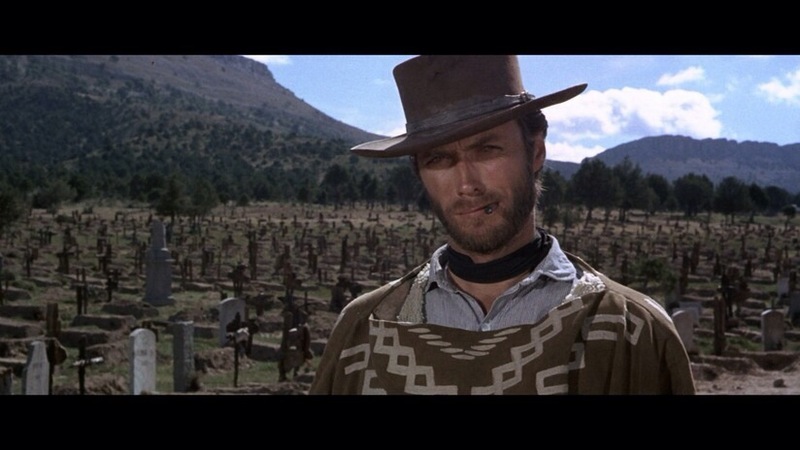 Released in 1966 and in the States in 1967, The Good, the Bad and the Ugly is the 3rd part of the Man with No Name trilogy and by many it’s seen as the best of the 3 and by many its also seen as the greatest western and the best film in Sergio Leone’s career though some favor Once Upon a Time in the West, but it seems to me The Good, the Bad and the Ugly gets a little more acclaim. 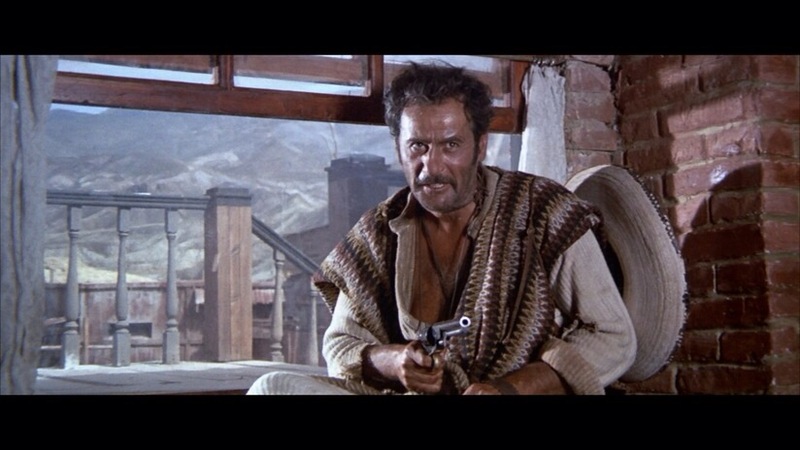 I enjoyed Fistful of Dollars a lot, but don’t rate it as highly as some, but with A Few Dollars More I felt Sergio Leone arrived and as influential as Leone’s films are this was his first epic and once again Leone changed the way westerns were made. 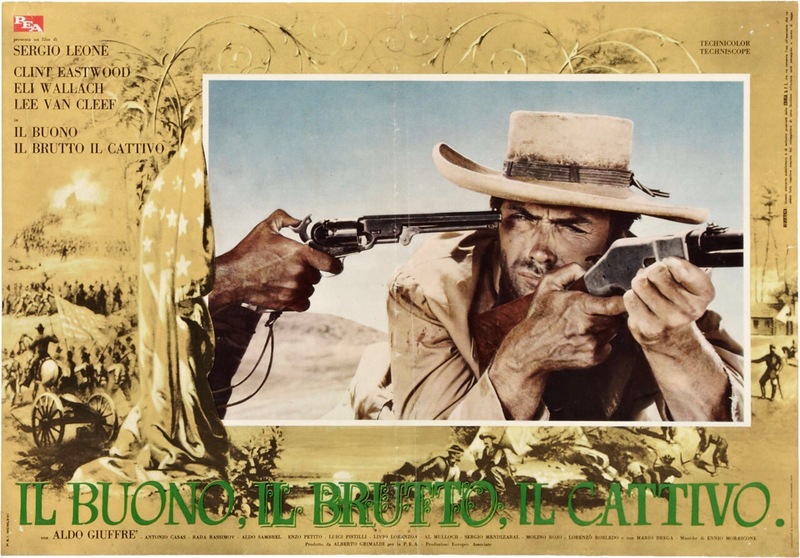 When released in Italy The Good, the Bad and the Ugly clocked in at 179-minutes, but when released in the States it was cut down to 161-minutes and home video releases have restored the film to its 179-minute running time. 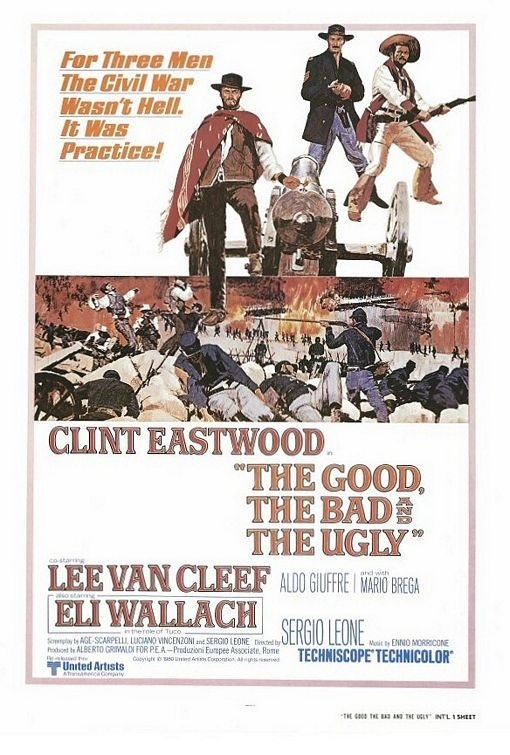 For me personally when a film starts to go over 130-minutes I often find it overly long with some exceptions of course and while The Good, the Bad and the Ugly is a great film I just found it overly long and I’m not sure the film needed to be 3-hours. 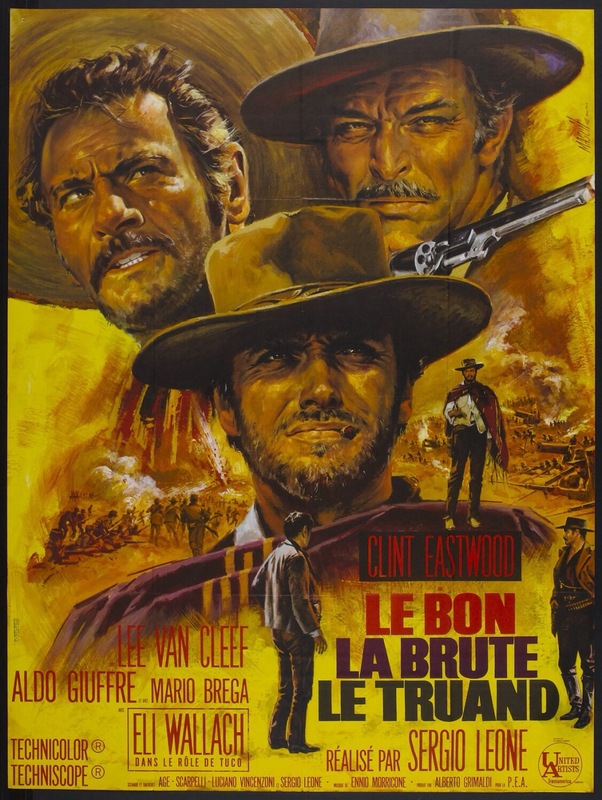 As much as I liked the film again it was just a little too long even if still a great film and while its better than A Fistful of Dollars I’d rate For a Few Dollars More as my favorite of the trilogy. 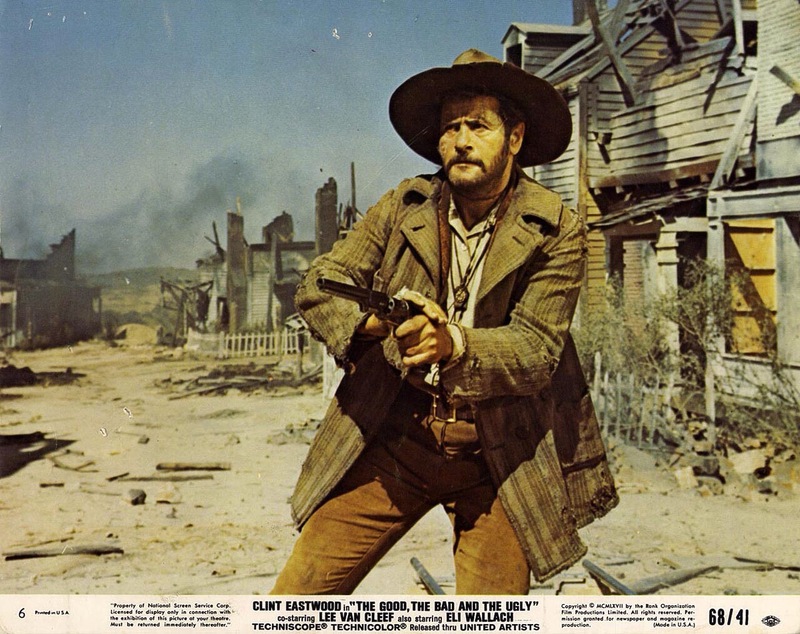 The trilogy is called either the Dollars trilogy or the Man with No Name trilogy, but in all three films Clint Eastwood’s character does have a name it was MGM who came up with that gimmick while marketing the film in the US. Regardless of what you wanna call it none of the three films are connected and each are stand alone the only connection is a lot of the same cast and crew. 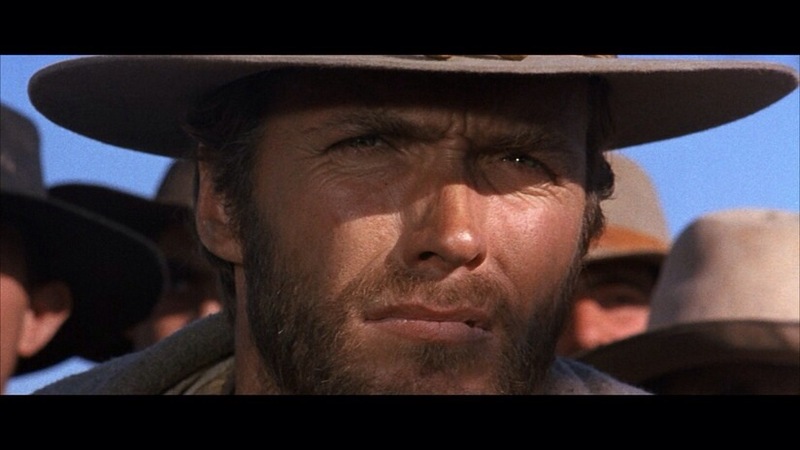 This time around Blondie (Eastwood) is running a scam with Tuco (Wallach) a wanted outlaw. 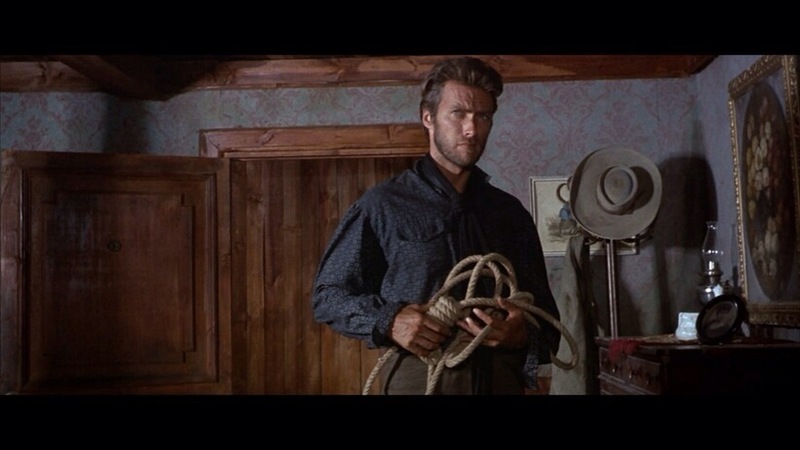 Blondie brings him in and collects the bounty and when Tuco is about to hang, Blondie shoots the rope helping Tuco getaway and the two split the money. 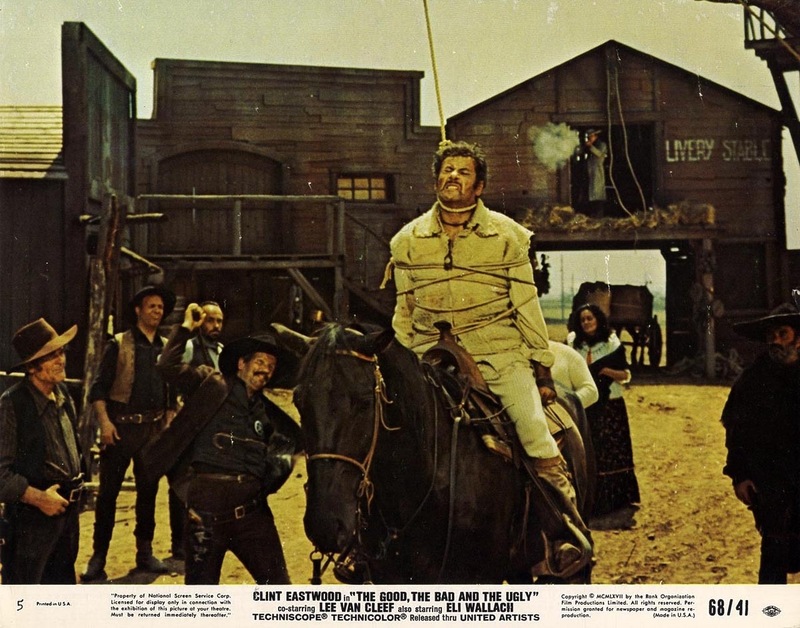 However after one scam Blondie decides to keep the money and Tuco vows revenge. He captures Blondie and makes him walk through the desert. 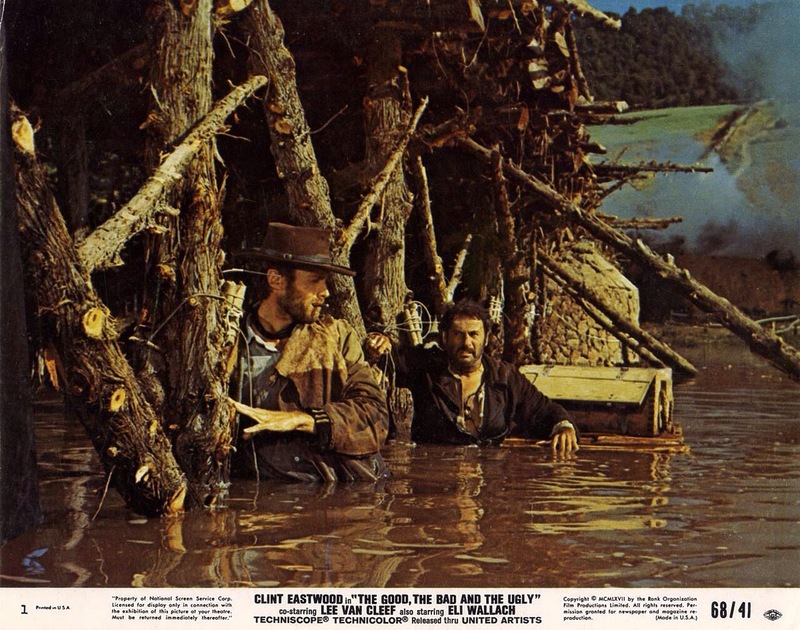 While there they come across a stage coach where everybody is dead except one person who has buried money. He tells Tuco what cemetery and when Tuco leaves to get him water, Blondie finds out what grave it’s buried in. 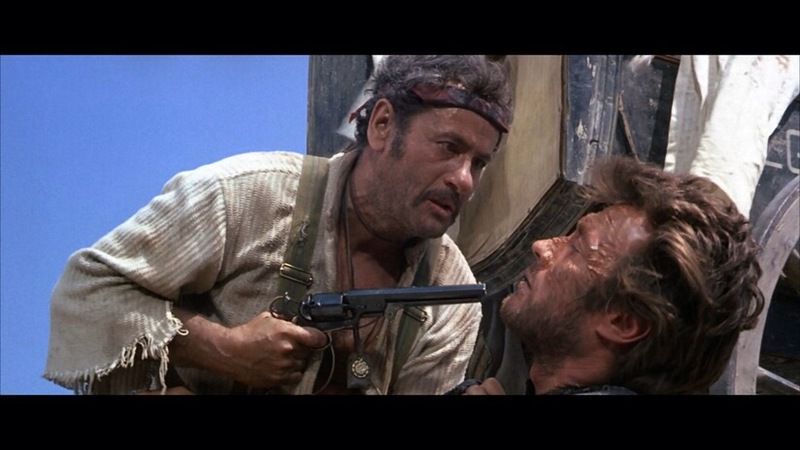 The man than dies, but now Tuco must keep Blondie alive. The two set out for the cemetery, but Angel Eyes (Van Cleef) is also hot on the trail for the money as well. 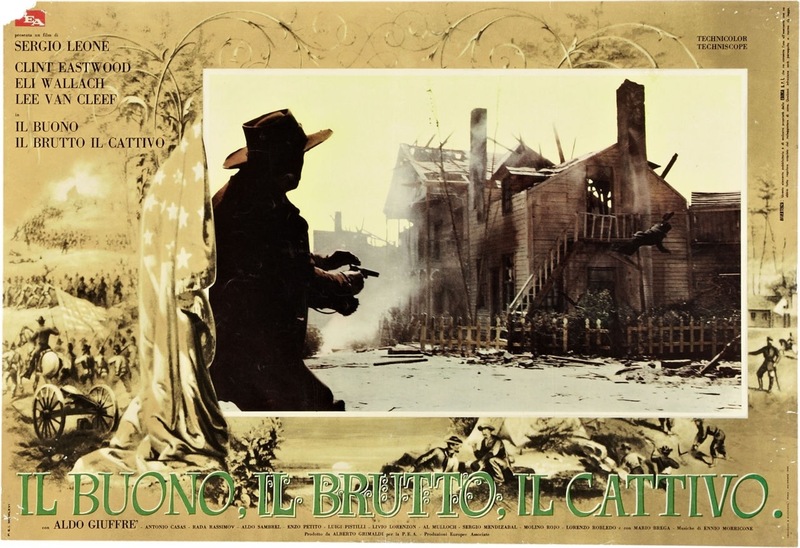 The screenplay by Agenore Incrocci, Furio Scarpelli, Luciano Vincenzoni & Sergio Leone is well written with some great characters, but the only problem I had is while the script well written and well plotted, I’m not sure the plot even with the subplots warranted a film running at 179-minutes. The script always remains strong thanks in part of the terrific characters and actors, but some scenes even if they impact the plot also sort of feel like filler scenes. Regardless, the screenplay is terrific with some great characters. 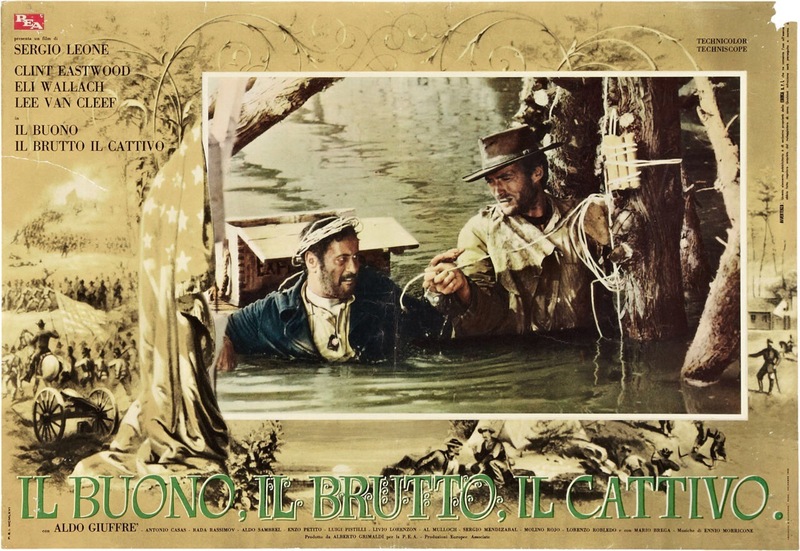 In each film of the trilogy the budget went up as did production values and the direction by Leone also got stronger. 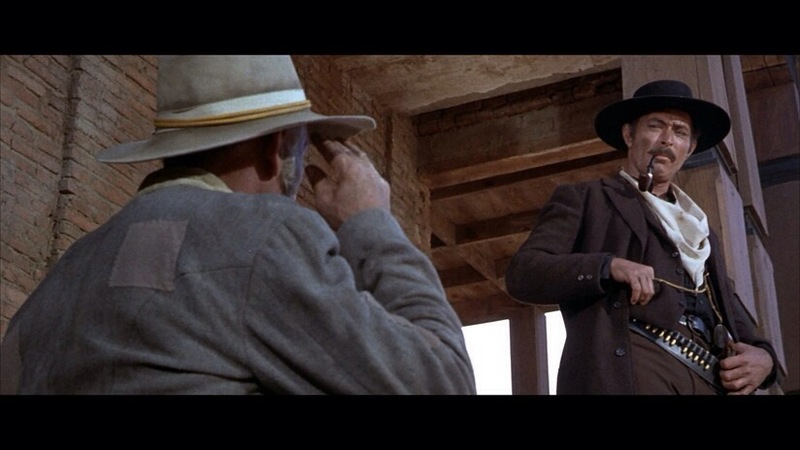 While For a Few Dollars More is my favorite of the three this part was the best directed. The first hour is very well paced and its funny, dramatic and exciting. After that things do slightly slow down, but for a 3-hour film the pacing is actually strong and I was never bored, but like I said I just felt as if a few scenes could have been edited and as great as a film this is I don’t think it needed to be 179-minutes. 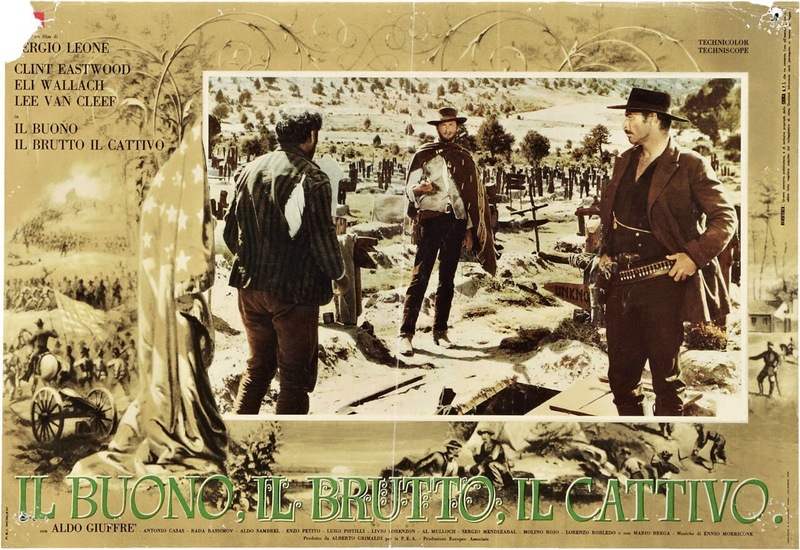 With all that said Leone shows why he’s a master at his craft and The Good, the Bad and the Ugly is quite the epic and its influence on filmmakers is quite clear. 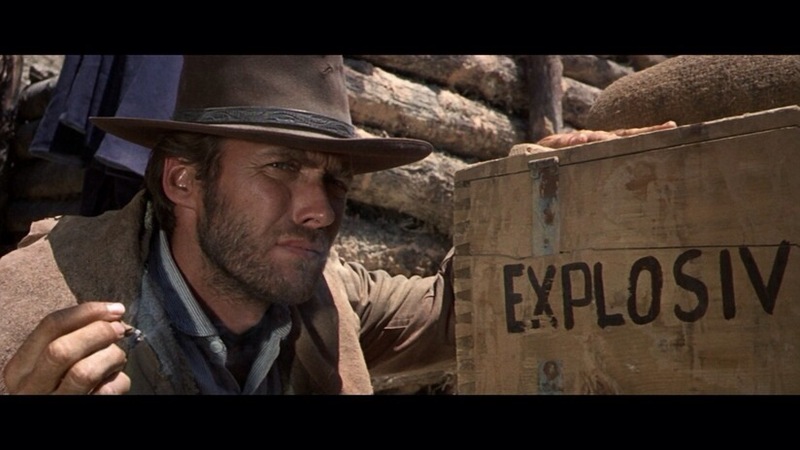 The one thing that isn’t mentioned enough about Sergio Leone’s films is the suspense level. 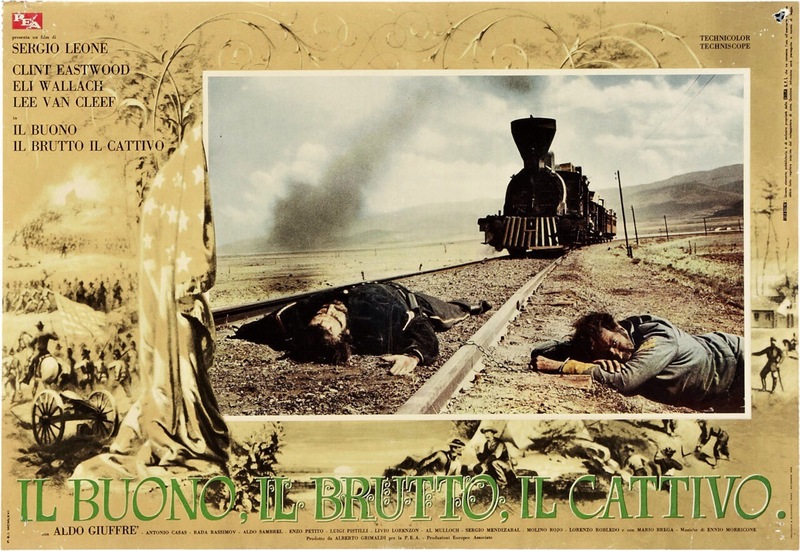 Too bad Leone never made a horror or thriller since at times his films had some great suspense and tension. 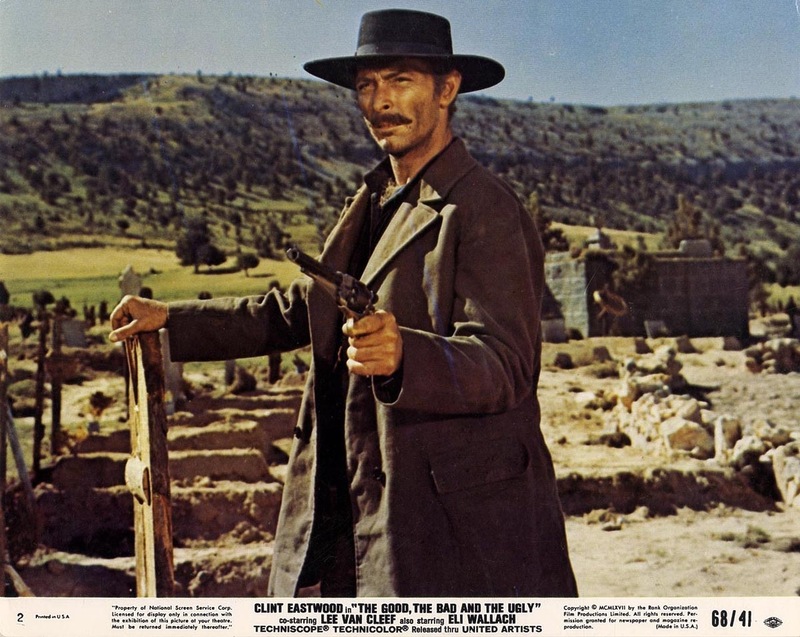 What I loved about For a Few Dollars More was the pairing of Eastwood and Van Cleef two great actors known for playing the tough guy roles. 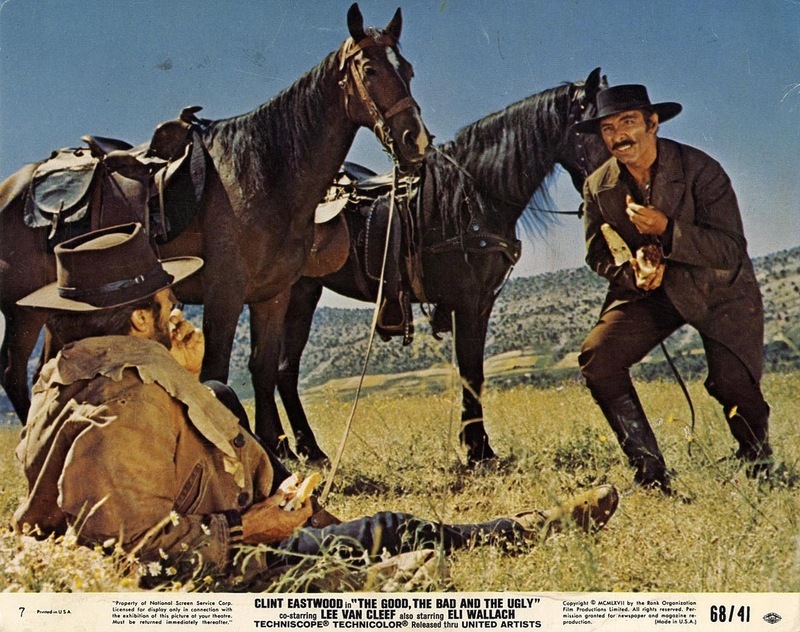 Here Eastwood and Van Cleef don’t have a whole lot of scenes together, but its more than made up for by pairing Eastwood and Wallach together. 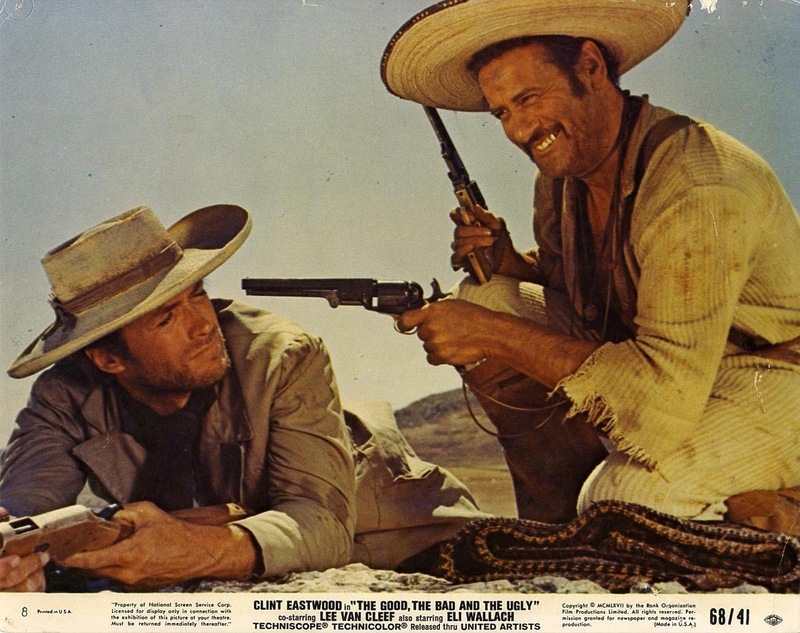 Both actors worked very well together and as great as Eastwood was, Eli Wallach steals the show with an hysterical performance. 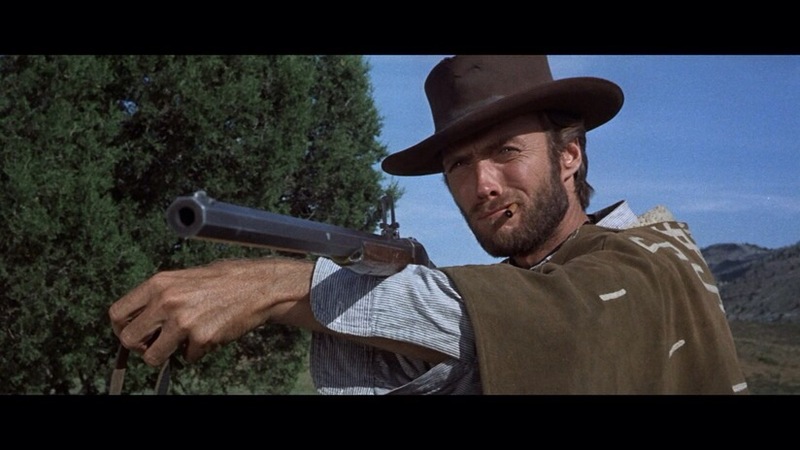 Eastwood is great as usual and Lee Van Cleef was also great only downside is not enough screen time. 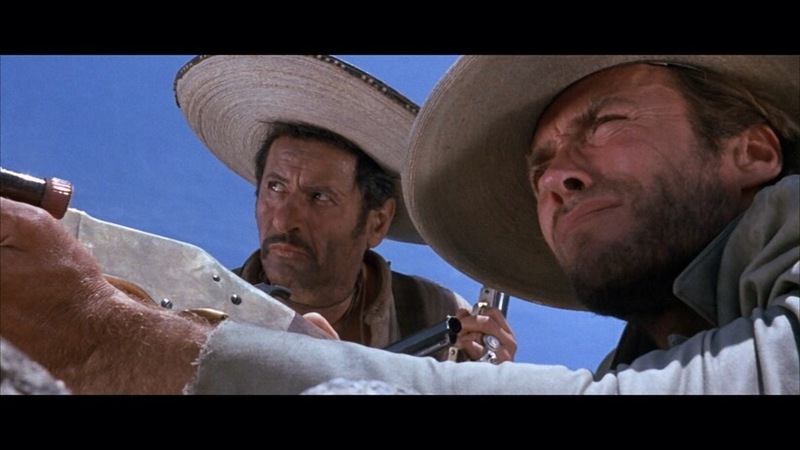 Overall The Good, the Bad and the Ugly is truly a great film and one of the most influential films of all time. Like I said the 179-minute running time was a little overly long even if the pacing is generally strong. This was a great end to the trilogy.